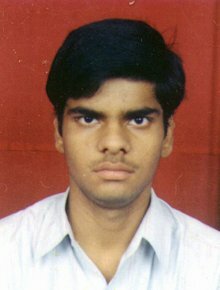 On 27 December 2000 at 10:15 am, he went to the Polytecnic College in Hisar with his friend, Anoopam Sharma. As 27th turned out to be a holiday, both of them turned back for home. On way back to home, Vipin asked his friend to drop him in the Market. Since then Vipin has been missing. He was last seen wearing black trousers, black striped shirt, sweater and black shoes. Characteristics He does not wear glasses or contact lenses and is right handed.